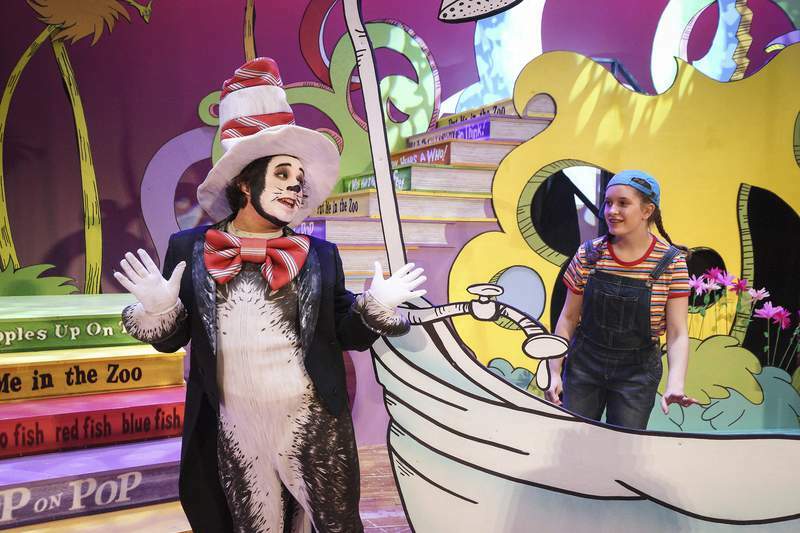 Photos by Mike Moore | The Journal Gazette Louis Soria, left, as the Cat in the Hat, and Tia Hackbush, as Mayzie La Bird, are part of the cast of “Seussical the Musical,” which opens tonight. Jordan Gameon, left, portrays Horton the Elephant and Kennedy Lomont is Gertrude McFuzz in the production based on the works of the famed children’s author. Where: University of Saint Francis Robert Goldstine Performing Arts Center, 431 W. Berry St. 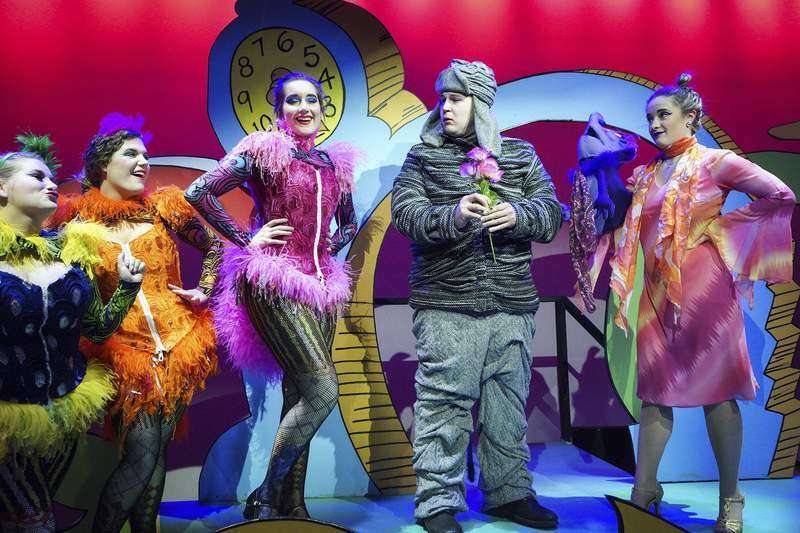 The University of Saint Francis' production of “Seussical the Musical” opens tonight, and director Brad Beauchamp can't wait to share what his cast and crew have been working on. The audience will recognize the characters and setting from Dr. Seuss' books. The Cat in the Hat is an emcee for the story, in which Gertrude McFuzz is infatuated with Horton the Elephant. “Like all great stories, it's kind of a love story,” Beauchamp says. The show has a cast of 35, including Louis Soria as the Cat, Kennedy Lomont as Gertrude and Jordan Gameon as Horton. Choreography is by Leslie Beauchamp. 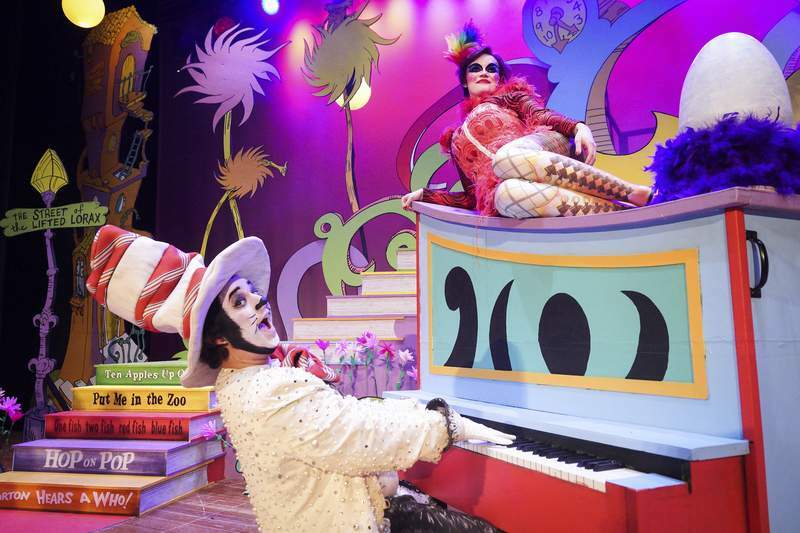 “Seussical” features music by Stephen Flaherty and lyrics by Lynn Ahrens, who uses some of Seuss' writings in the songs. It is family-friendly, with a lot of color and whimsical treats for the eyes. Costumes were designed by Steven Hollenback of Indianapolis, and the scenic design is by a team of artists from University of Saint Francis' School of Creative Arts. He says the cast is having a lot of fun, too, as they show up every night and discover something new on the set as the crew brings the books to life. 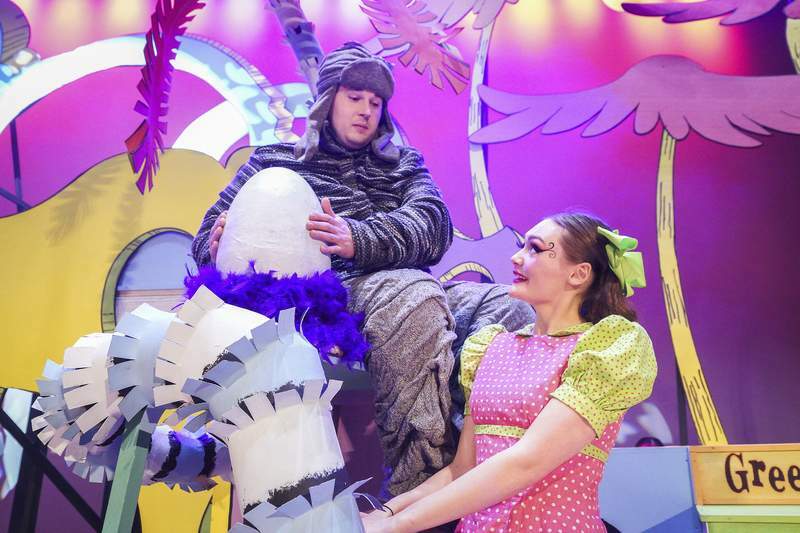 The cast has its own challenge wrapping their tongues around Seuss' language. All the lines have to meet a certain meter, not unlike Shakespeare. The show runs about two hours. There are activities available for children during intermission, and there is a meet-and-greet with characters after each performance, with activities including photo stations. 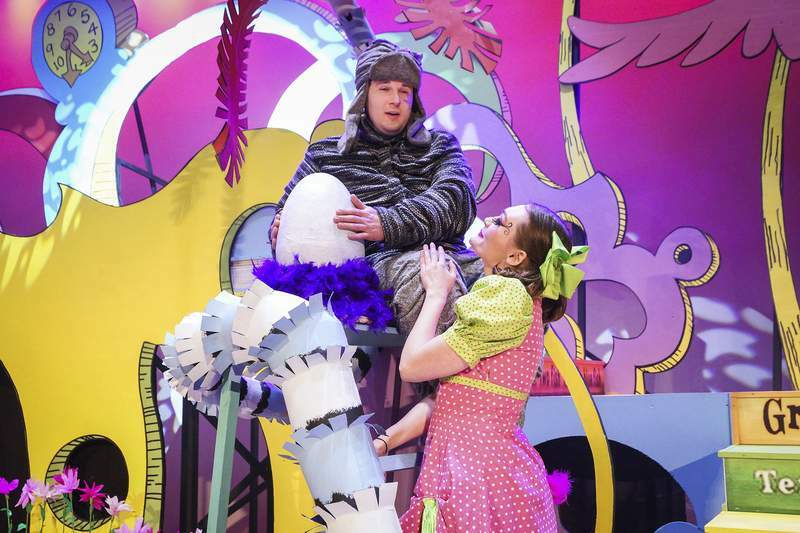 “Seussical” runs through March 31.